If there is one thing that most business owners can agree on; it is the fact that they hate taxes. Of course, no one likes feeling like they are giving money away. However, this is not the only problem. Company taxes can take a lot of time, and they can be a lot of hassle. Plus, there is always the worry that you are overlooking something or that you have not filled in something correctly. This could lead to numerous knock-on effects; you could be paying more than necessary, or you could even get on the wrong side of HMRC, which is the last thing you need. But, don’t frets, as we have plenty of small tax tips to help you get started. Firstly, have you considered the salary sacrifice scheme? This is a great option to consider if you employee people at your business. There are many different types of salary sacrifice schemes. The childcare voucher scheme, in particular, is very popular. Employees will agree to a lower salary in return for you providing them with childcare vouchers. The reason why this is beneficial is because you will not have to pay the National Insurance of the employer, and the childcare vouchers themselves are tax-free. There are some restrictions, and thus you do need to explore this further. Another way to reduce the amount of money you pay when it comes to taxes is to make contributions into a pension scheme. This is beneficial because such contributions are a deductible expense for a business. Moreover, the employees do not need to pay any tax on having the benefit of their firm pay for them. Are you married or in a civil partnership? If so, you should definitely make the most of the basic rate tax bands and personal allowance. In a lot of cases, it can be beneficial to transfer some of your assets that product income, for example, rental income, to your partner. This will allow you to make the most of their lower taxable income. How you pay yourself is something that needs to be carefully considered. It goes without saying that the amount of tax you pay will, of course, be influenced by the amount you pay yourself from the business. However, the way in which you pay yourself also needs to be considered. 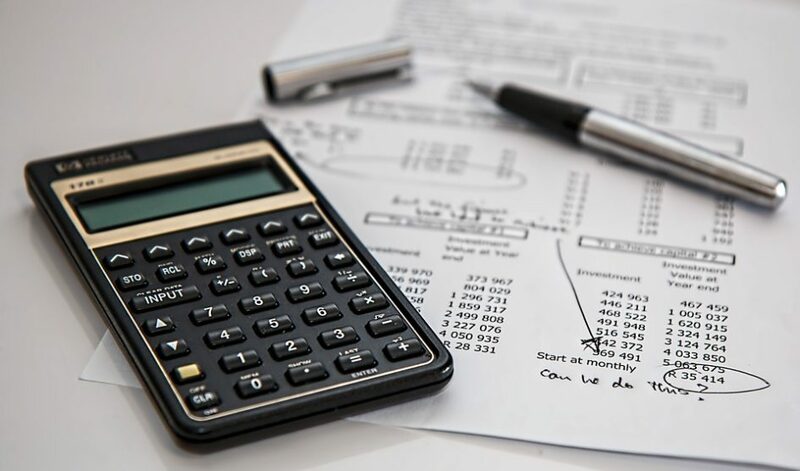 One of the most frustrating yet common reasons for businesses paying more on their tax commitments than they need to is because they are not organised. Bookkeeping can seem like a lot of hassle. However, you need to keep copies of everything, and you need to keep everything organised if you are to claim for things. If you do not have proper supporting records, you will find that HMRC may disallow VAT amounts of expense claims. Don’t run this risk. Stay on top of everything, and you won’t experience any hurdles later down the line. Earlier we mentioned the childcare voucher scheme, and another option to consider is the cycle to work scheme. It is surprising how many businesses overlook opportunities like this one. For the past few years, this scheme has been in operation, and it means that employees can save up to 25 per cent of the cost of a new bike. For you, it means tax benefits. In fact, there are other advantages too, such as fewer parking spaces required and a healthier workforce, which often means a more productive workforce. This is one area where a lot of small business owners are missing out. There are a number of different VAT schemes, and you need to choose the right one for you. One option that should be carefully considered is the Flat Rate Scheme. It is not right for all businesses, but it may be beneficial to you. With this type of scheme, on your turnover, you are going to pay a fixed rate of VAT. The flat rate depends on the industries you are in. For example, for IT consultants and computer consultants, the rate is 14.5 per cent, however, for property managers and estate agents, the rate is 12 per cent. So, do make sure you know the rate for your industry before you attempt to determine whether this is going to be the most cost effective solution for you. This is something an accountant will be able to assist with. As mentioned in the prior tip, knowing your industry is important. However, this is not only in terms of VAT. You should also make sure you are engaged with your trade association or body. Read their newsletters and attend their events. You will find that a lot of industries have special allowances or dispensations that the HMRC has approved, for example, uniform allowances. A lot of business owners aren’t aware of these because they do not keep up to date with their trade union or body. They are there on your side, so it is wise to use them. The last thing you want is to come unstuck when it comes to tax deadline time, which is why it is highly recommended that you set aside future tax liabilities. It is a good idea to consider opening up a separate deposit account just for this purpose. Ease-of-use – The last thing you want is an accounting program that is extremely difficult to integrate and get to terms with. Compatibility – Look for software that works on all devices. We tend to assume that this is the case for all software nowadays, but it is better to be safe than sorry. Scalability – You want an accounting solution that is going to grow as your business grows, not something that is going to hold you back. Features – Take a look at the different features that are included with the software. Make sure they are features that you can see yourself using and that will benefit your business, whether now or in the future. Price – Price is a vital factor when making any type of business purchase. You don’t need to spend a fortune on accounting software. Nevertheless, do not simply search for the cheapest software you can find. This could cost you more money in the long run if it is of a poor quality or not right for your business. Reviews – The final tip is to make sure you read reviews that have been left by those that have already purchased and used the software. If the system has a bad reputation, this is something you should be able to pick up on fairly easy, and you will know to look elsewhere. You can claim on virtually all purchases that relate to your business. This includes journals, reference books, training, and professional subscriptions, as well as equipment, including software, printers, and computers. You can also claim for the expense associated with equipping your office, including bookcases, chairs, desks, and alike. However, it is important to ensure that you have invoices for all purchases and that they have your company name on them. Claiming for the costs that have been incurred when making a journey is something that a lot of business owners don’t do, or don’t do correctly. This is because they are unsure regarding what is tax deductible and what isn’t. Whether you are making a trip to purchase office equipment or you are going to a training event or client meeting, if it relates to your business, you can claim. But, what can be claimed? Mileage using your own vehicle. This starts at 45p per mile for vans and cars. You can also claim 20p for push bikes and 24 per mile for motorbikes. If you go over 10,000 miles, the rates drop. Hotels and meals – If your business trip requires you to stay away from home, you can claim £10 for overseas stays per night and £5 for UK stays overnight for personal incidental expenses. Subsistence expenses – This could be lunch while out with a client, for example. Parking – This includes tolls as well as congestion charges. Travel fares – You can claim for taxi, bus, train, and air fares. One of the biggest mistakes that small business owners make is keeping both their business and personal expenses in the same account. Instead, you need to have separate credit cards and separate bank accounts. You need to be strict with your use of them as well. Don’t think ‘oh I’ll just put this on the business card and I’ll sort it later.’ It’s easy for things to slip. Instead, avoid confusion and any problems by using the right cards and the right bank accounts for each purchase. Experience – Don’t only look at the number of years they have been in business, make sure they have provided their services for many small companies during their years in operation. Registration – It is imperative to choose an accountant that is UK based and UK registered. Qualifications – Make sure they have all of the necessary training and qualifications. Feedback – Read reviews that have been left by previous clients of the accountant. Have they been happy with the service they were provided with? How did they find working with the accountant in question? Communication – It is pivotal to make sure that the accountant you choose is easy to get in touch with. Fees – How will the accountant charge for their services? It is advisable to look for a fixed-fee accountant. You will know exactly what you are paying, and this will make the monetary side of things a lot more manageable. Nevertheless, do find out what is included in this fee, as you do not want to get stung by any hidden expenses. Accounting bodies – It is good to find an accountant that is a member of a regulatory body or organisation. Typically, to be a member of such bodies, you need to display a certain level of quality and ethical working practices. All things considered, there is no denying that taxes can be a major cause of stress for a lot of small business owners. But, it does not need to be this way. Follow the tips that have been mentioned above and you can really change the way you do taxes at your business. Not only will you ensure you are paying the lowest amount of taxes that is required by law, but you will find the process itself a lot easier and more straightforward.